Remember how we wrote about the best places to eat in Tokyo sometime ago? Well, Asanoya Bakery was on the list and you’ll be pleased to know that they’ve just opened an outlet in Singapore. 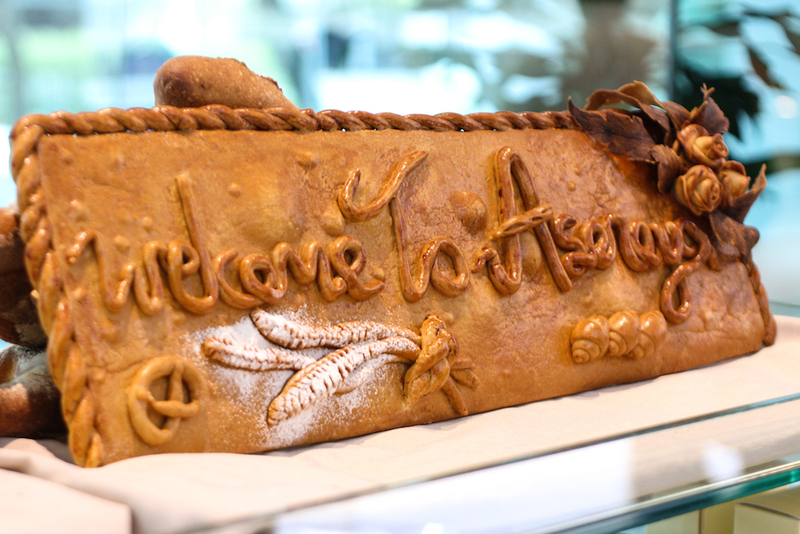 We snooped around the bakery and tried out their range of bread, pastries and sandwiches. Hey it was a tough job, but somebody had to do it right? Here are our favourite picks. Let’s start with our all-time favourite, shall we? 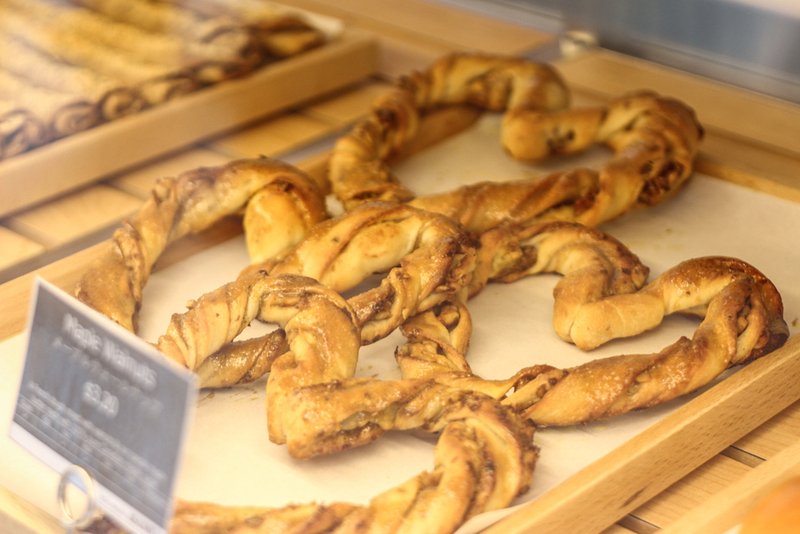 This Maple Walnut Pretzel is flavoured with Asanoya Bakery’s homemade maple butter, and topped with walnuts for that added kick. Seriously, it’s almost criminal how good these are. Is it possible to be in love with bread? 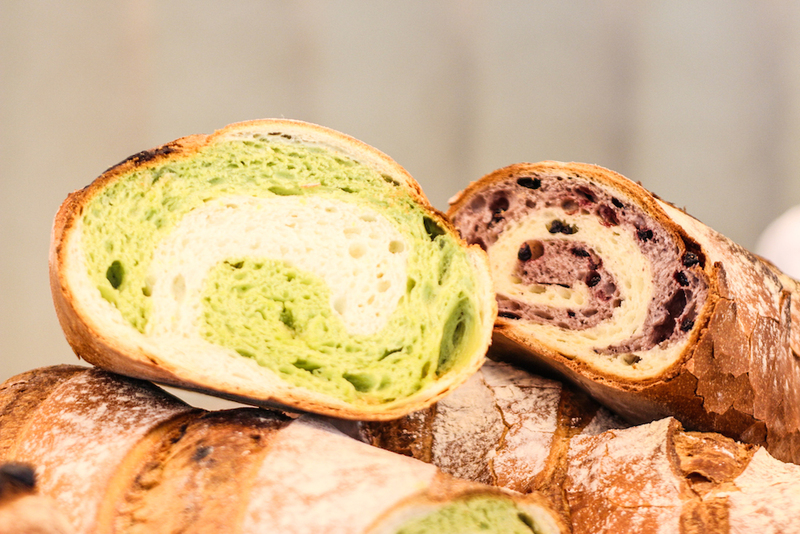 Because this Green Tea bread just might be…true love <3. 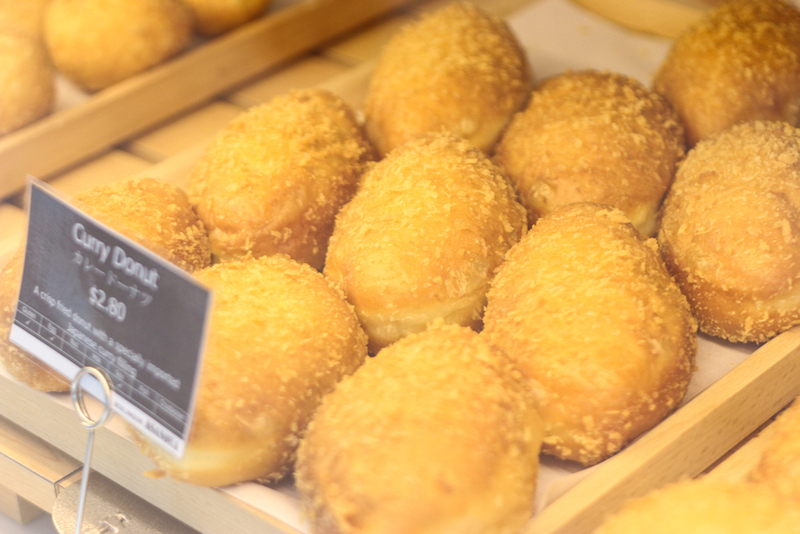 Think soft, fluffy milk bread flavoured with green tea and a hint of rich, white chocolate. Also comes in a Blueberry version (see below). 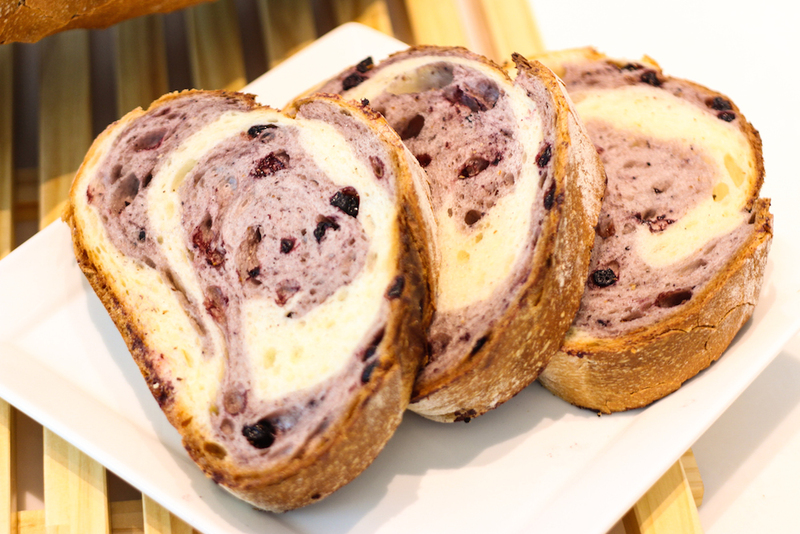 Japanese milk bread with blueberry swirls and bits of blueberry hidden within. 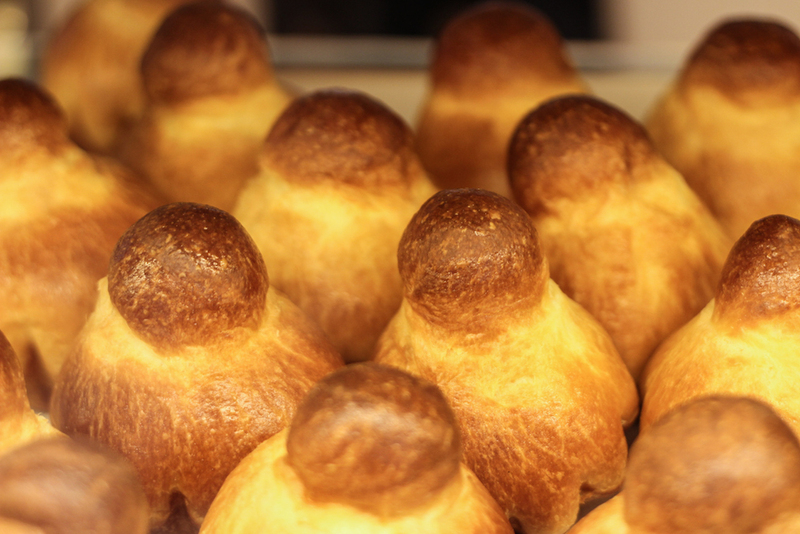 HOW CUTE ARE THESE BRIOCHE BUNS?? 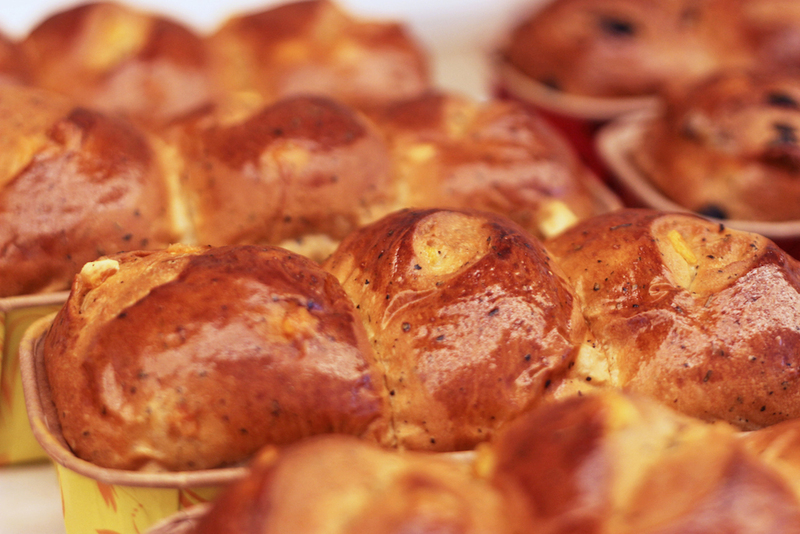 These little babies are dense, buttery balls of goodness. 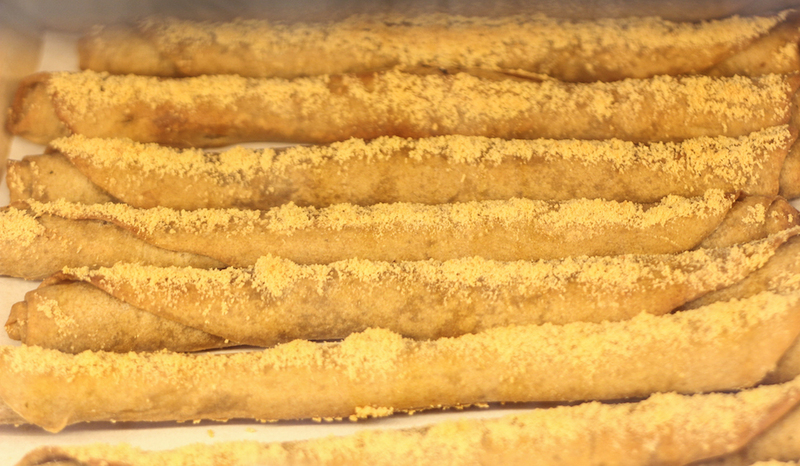 Perfect on their own, or with a smidgen of jam. 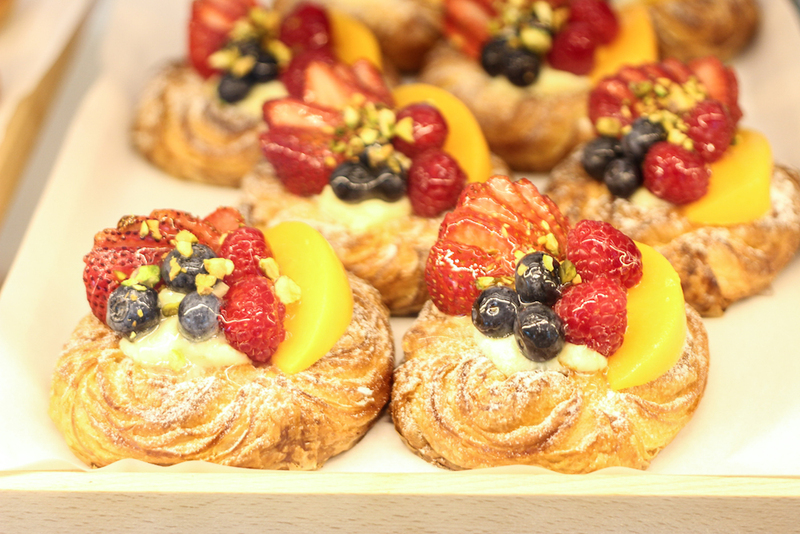 These were almost too pretty to eat…almost. A little sweet for our tastes, but we liked how the fruit looked plump and fresh. Also, Instagram-worthy anyone? While we’re not fans of coffee, coffee lovers will definitely appreciate this one. 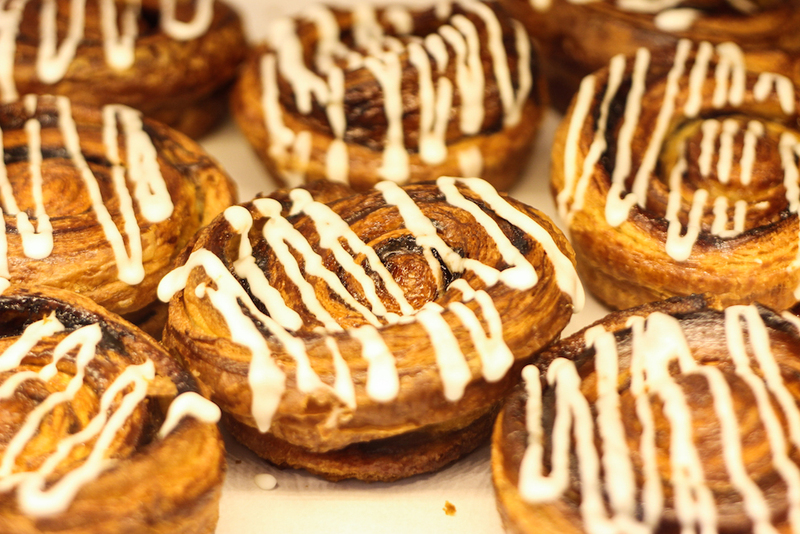 The danish is an interesting mix of espresso and buttery, flaky pastry. These are sort of like molten lava cake, but with bread instead of cake. Each cube is filled with a cream cheese custard centre, which oozes out unapologetically when you bite in. Kind of messy to eat, but totally worth it (and the calories). 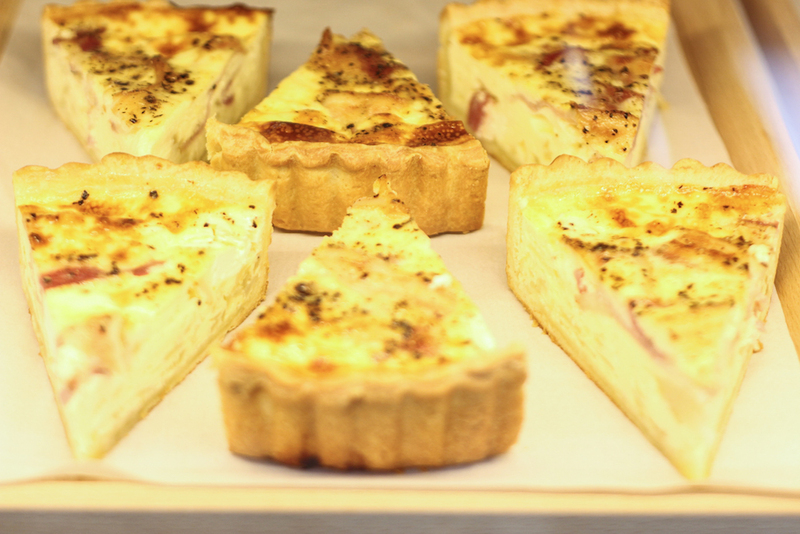 Trust the Japanese to make the fluffiest, lightest quiche ever. Comes in Spinach, Bacon and Mushroom (our favourite). 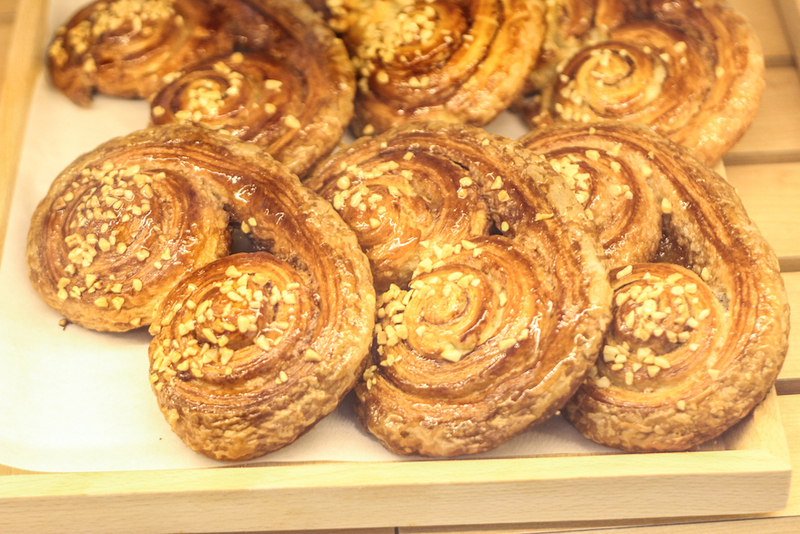 A nice alternative to Cinnamon Bread – think swirls of cinnamon goodness hidden between buttery Danish folds…not for those on diets. These were pretty interesting as well – dough topped with anchovy butter and Edam cheese, baked to golden brown perfection. Fried donuts filled with Japanese curry. Surprisingly not as heavy as it sounds – possibly because the curry was quite light, with a hint of sweetness. 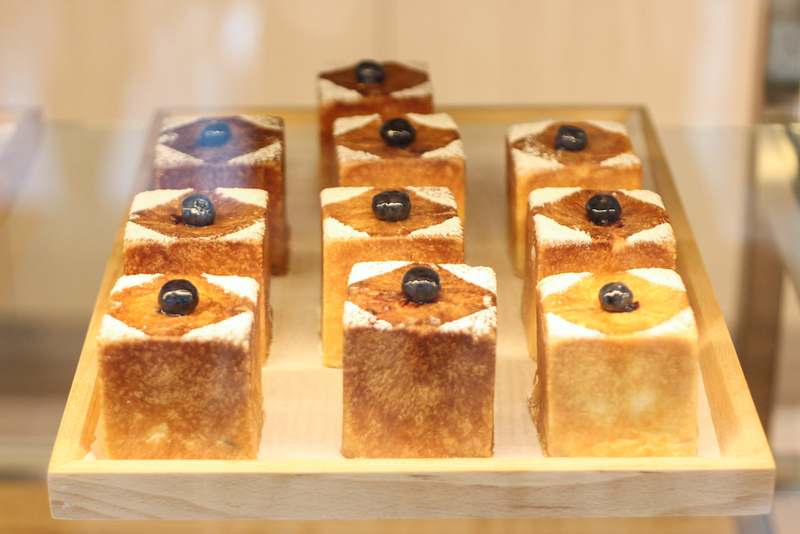 Ahh…another one of our favourites – Asanoya Bakery’s signature tea-flavoured bread. We recommend slicing and toasting lightly to really bring out the tea flavour. It also comes in an Orange and Blueberry version, both of which are nice variations to the original. Ahh…of course we couldn’t leave these out. Because who doesn’t love dipping bread in their curry eh? 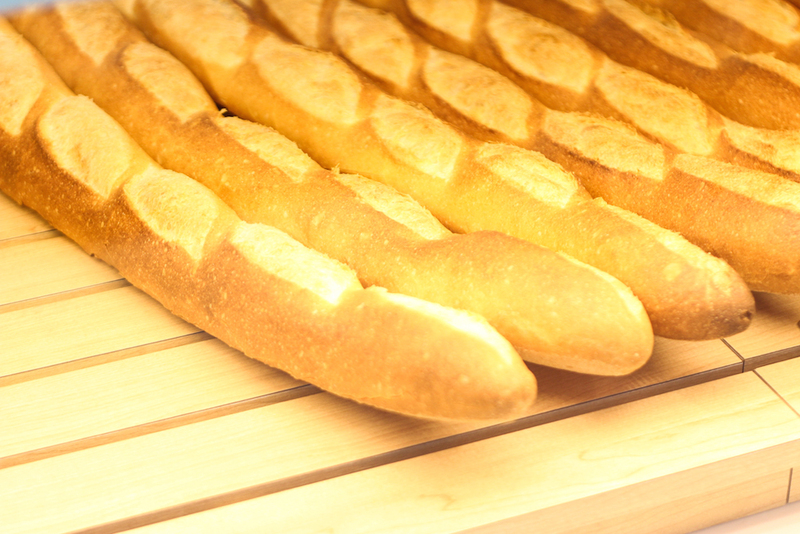 Founded in 1933 in Karuizawa, Japan, Asanoya has always been known for its Japanese-style bread with a European twist. 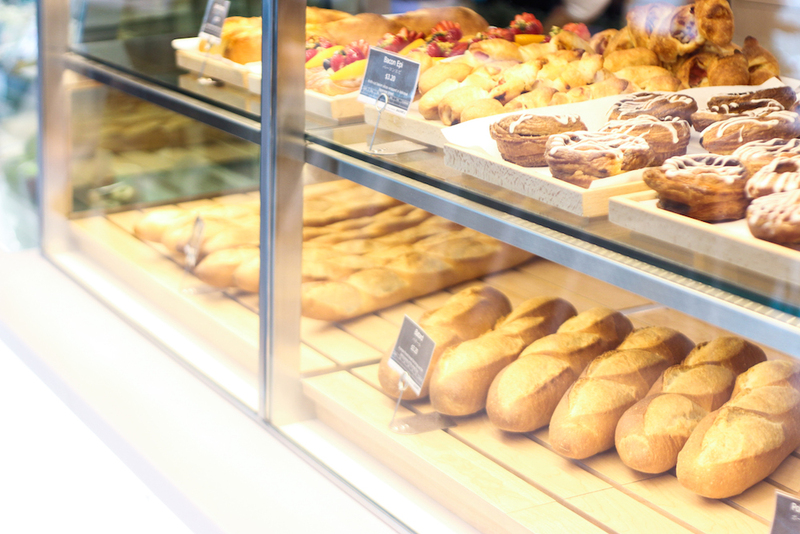 The artisan bakery serves a range of gourmet bread, premium pastries, sandwiches and salads and the cafe in Singapore offers both dine-in and takeaway options.